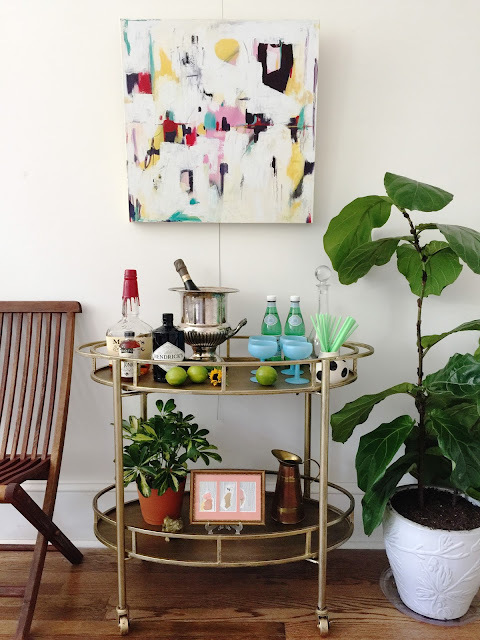 If you're into color and cosmos, this bar cart set up is for you! 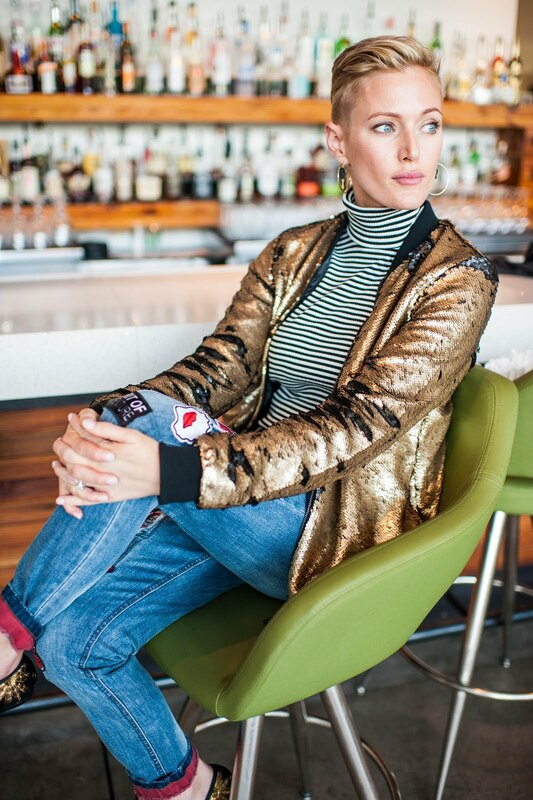 Vintage, modern, and playful pieces mix and mingle with fine art and fun cocktails. Note: Forgive the slightly fuzzy photos - I took these before learning my camera wasn't set to take high resolution images. Photos on my blog should be clear going forward, but I think the style of this pretty bar cart still shines through. I love a mix of vintage, handmade, and new. The combination adds depth to a home and there's usually a good story behind the pieces. These vases were a collaboration between local ceramicist Regina of Forged and Found and myself. I've wanted to try my hand at painting some unique pieces with high contrast color and the beautiful simplicity of Regina's signature style was the perfect "canvas" on which to paint. I'm super happy with how these turned out! Each vase and coffee mug was formed by Regina, and painted by me after air drying in her studio. Regina then took each piece and fired them in her kiln. The handmade feel combined with bright red stripes, bold black dots, and blue brushstrokes feels fresh. I've been on the hunt for blue coupe glasses like these for quite some time and snagged them as soon as I saw BMA At Home post them on their instagram one day. They're my favorite little glasses now and are such a happy pop of color! I like to place art right on our bar cart at home and this little framed piece is perfectly happy displayed on the bottom shelf. The brass accents surrounding it highlight the 1920's Hungarian frame found at an estate sale. If you're ever unsure of how to blend contemporary art with your traditional home, simply pick frames that flow with what you already have! The mix of contemporary and antique add depth and is a great way to bring a fresh look into the home. Add real greenery and a single brightly colored flower to the mix and you've instantly added a modern touch to your decor!